At Mercedes-Benz half marathon, I came down with the symptoms of a cold literally as I landed in Birmingham. It was one of those moments where I said, “you have got to be F***ing kidding me.” I had taking vitamins all week in preparation to make sure I didn’t get sick leading up to the race. The weather is always a factor, and there had been a wave of temperature changes all week from 67 degrees to the teens. So Dayquil was in my future for the day of the race. That evening, I developed the aches which concerned me as those are cues for the flu with my body, and even more so, I didn’t need to be racing with the flu. This is where everything changed in my preparation for the race. 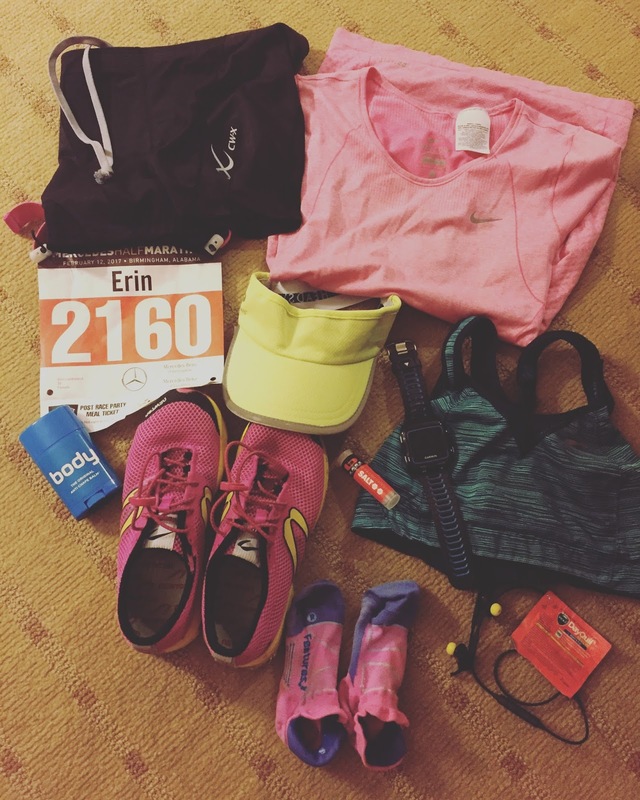 For starters, I drank a boatload more fluids than I would have before a race. Race time requires a lot of fluids naturally, but when you are sick, you need more! I was drinking a lot of tea, and yes it can help dehydrate you, but I was also drinking a lot more water and Gatorade to replenish what might have been lost. I can’t express enough, that you need more rest and sleep when you are sick. Instead of going to bed at 10:30/11 as I usually end up doing before a race because of the nerves, I was out at 9 pm. This was wonderful as I woke up feeling a lot better and much more rested and dare I say it, well enough to breath during the race. Race day was upon us, and it was hard to drink liquids with my throat swollen, so I drank a lot of tea, had a bunch of cough drops and carried my Base with me. As the temperature was in the 60s with an 80% humidity index, I knew that fluids would be even more important for my race-day executive, but so would sodium. If you are taking in a lot of fluids, you need to replenish the lost sodium through your sweat. At every aid station I would take in water and every other I would take in both water and Powerade. I knew I was losing a lot of fluids through sweating by running alone, but I needed even more because I was sick. So I would also take in a lick of salt at every station. 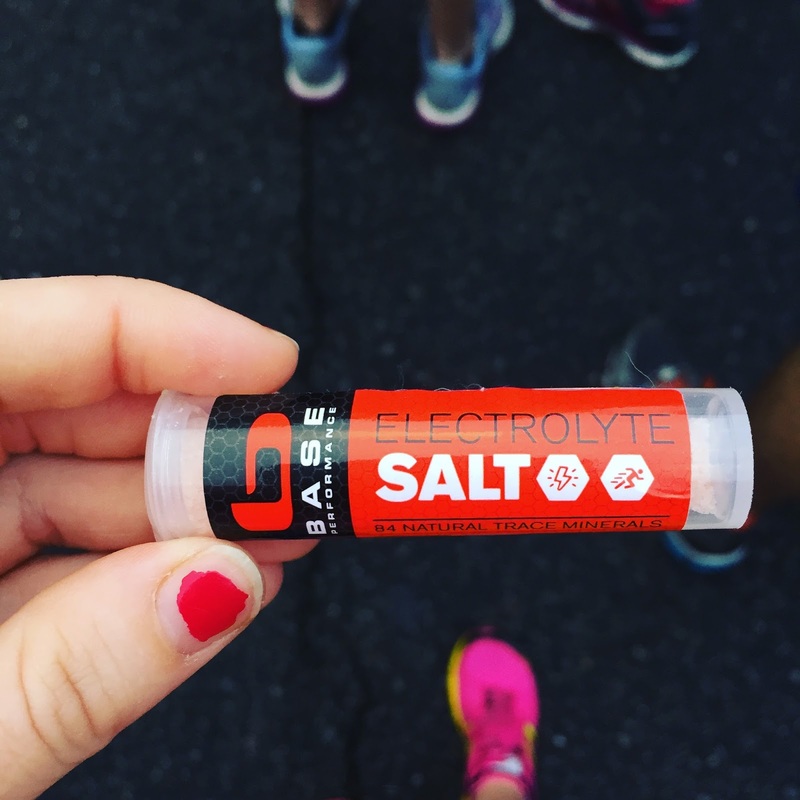 Salt saved my race because I felt sluggish and faint and knew it was because I was losing electrolytes. Base replaced those electrolytes and kept me running. If you don’t like ingesting salt, then drink plenty of Gatorade or any sports drinking with electrolytes and sodium. Preferably something you train with regularly. For races, it is critical to take in fluids, but if you just so happen to get super lucky and get sick, I utter the importance of following my top three bits of advice.